Problem. Advertise a new service. 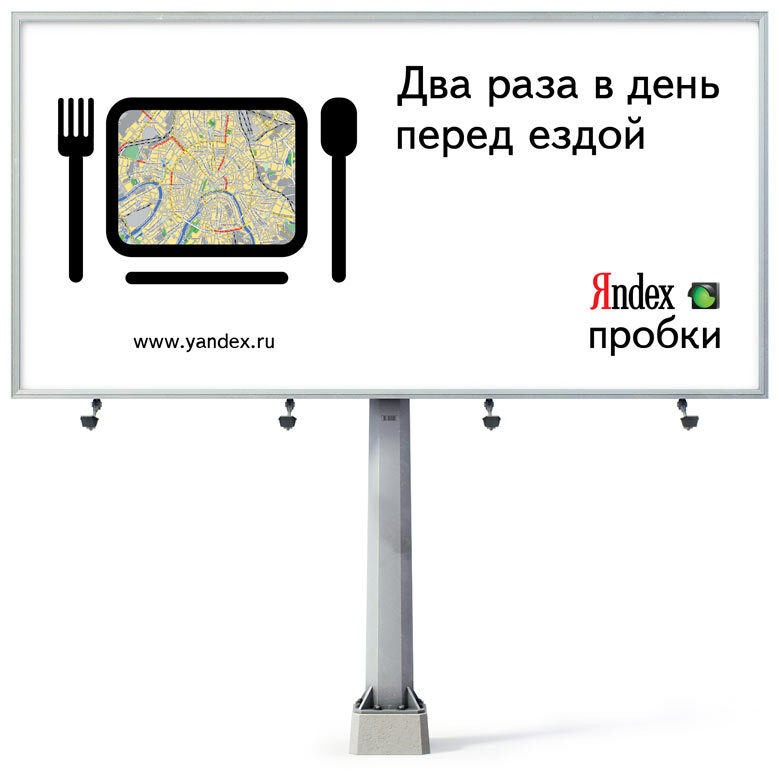 Yandex Traffic tells drivers about traffict situation on the roads of their city and helps to avoid jams. 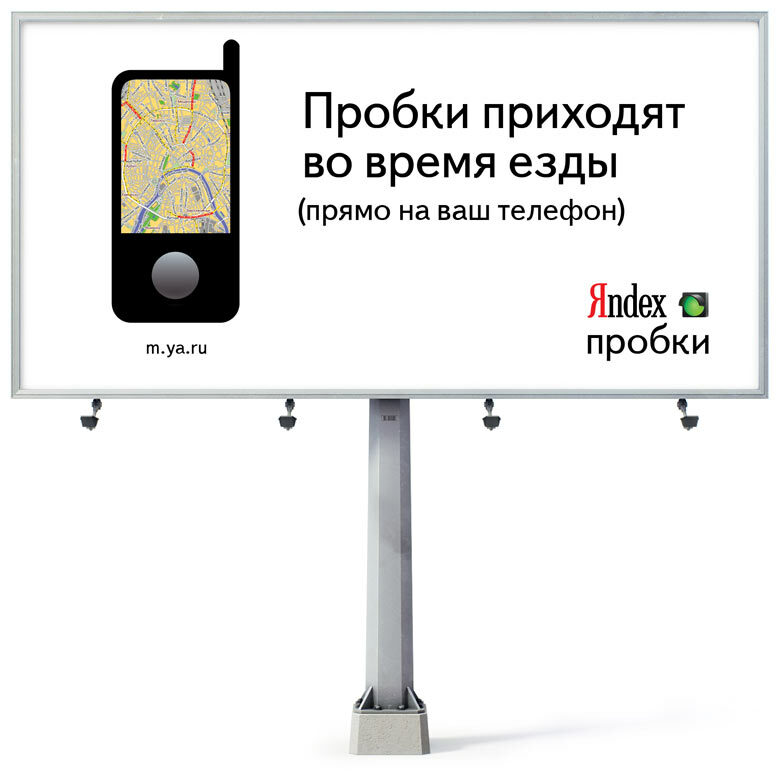 Billboards were installed in Moscow and Kiev.